From 15 to 19 October 2018, the most important international textile machine fair ITMA ASIA + CITME opened its doors again in Asia, Shanghai. STOLL was also there again, inspiring visitors with the latest innovations and developments. The booth was entirely dedicated to knitelligence®. knitelligence® is STOLL’s new software solution and a highlight from the ever-growing field of STOLL Software Solutions. STOLL’s knitelligence® is a modular system that combines all of STOLL’s software solutions under one platform that covers the entire value chain of flat-knit production. From design to production, knitelligence® can be easily integrated into existing customer processes. The topic “networking and digitalization of processes” was the focus and attracted numerous visitors to the STOLL exhibition booth. In order to illustrate the new software solutions in the best possible way, there was a live demonstration that impressively illustrated the workflow of knitelligence®. Visitors were able to edit their own images and motifs in the Photoshop plug-in STOLL-artwork® and convert them directly into a knitting program via STOLL-autocreate® and knit them on site. This was the perfect souvenir for anyone interested. 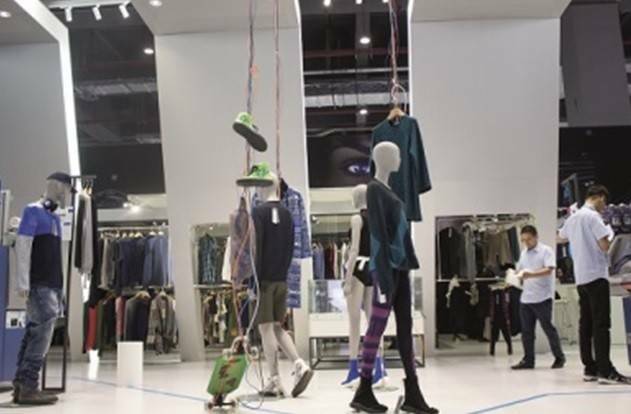 In the area of knitting machine technology, STOLL presented the new ADF 830-24 W knit & wear with the multi gauge E7.2 to the public for the first time. At the booth a knit & wear pullover with plating technique was presented. Also from the area of knit & wear was presented the new CMS 830 HP knit & wear in multi gauge E9.2. STOLL’s technology convinces with other exhibition machines such as the CMS 330 HP W TT sport, CMS 502 HP + Bc and ADF 530-24. 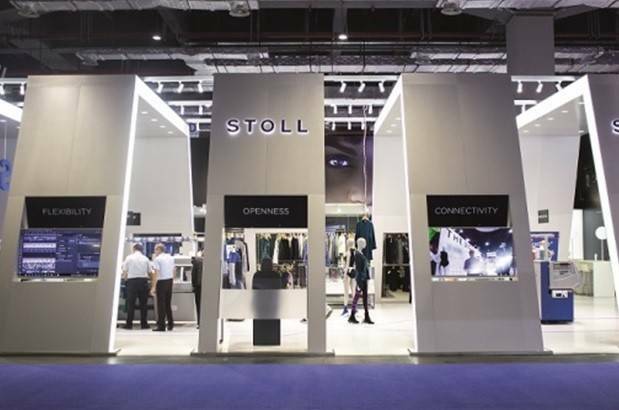 In addition, STOLL has brought back some new innovations from the areas of Fashion & Technology and Technical Textiles. With regard to Technical Textiles STOLL showed the ever-growing market for applications and technical implementations. STOLL demonstrated the performance range of STOLL’s CMS 330 HP W TT sport multi gauge E7.2 by knitting shoe uppers and various technical applications.Other Technical Textiles applications shown include medical designs, upholstery solutions, conductive garments, industrial uses, etc. In the Fashion & Technology area, STOLL introduced the Adobe® Photoshop® extension STOLL-artwork® for the creation and production process. This innovation was offered a lot of space at the exhibition booth and impressively presented to the visitors in a live demonstration. In addition to the new Adobe® Photoshop® extension STOLL-artwork®, Fashion & Technology presented the latest Trend Collection, Digital Knits. Impressive knitting patterns were also created thanks to STOLL-artwork®.Besides all these innovations and improvements, STOLL offered visitors another highlight. Four seminars in the area of Technical Textiles, Digital Knits, STOLL-artwork® and knit & wear were available for those interested. As expected, the seminars were well attended and thus found great approval among the visitors. The participation at the ITMA ASIA + CITME in Shanghai was again a great success. STOLL is already looking forward to new, exciting projects and the ITMA Barcelona from the 20th to the 26th of June 2019. 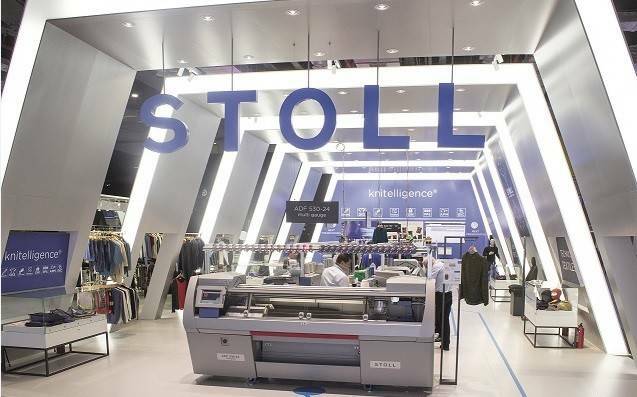 Stoll AG & Co. KG is an internationally operating manufacturer of flat knitting machines based in Reutlingen (Baden-Württemberg, Germany). The world-renowned enterprise was founded in 1873 and has about 1,000 employees worldwide. The STOLL product portfolio comprises flat knitting machines and patterning software which are used to produce fabrics for fashion as well as for technical applications. STOLL exports to more than 50 countries all over the world and offers integrated services through affiliated companies, sales and marketing centers, and numerous agencies. With innovative technical developments and a modern production environment, STOLL enables a broad spectrum of knitting trends. Some of these are shown in the most current STOLL Trend Collection.